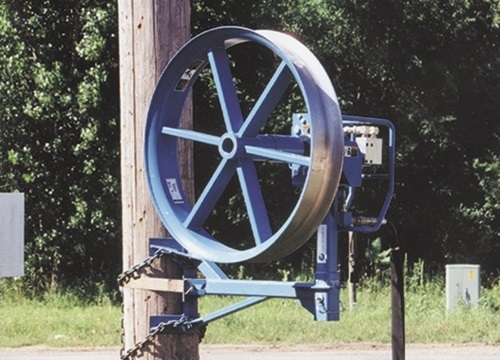 When overhead fiber optic cable installation applications require the smooth hydraulic power and accurate tension measuring system of the Condux Fiber Optic Cable Puller, the Pole Mounting Frame is available. 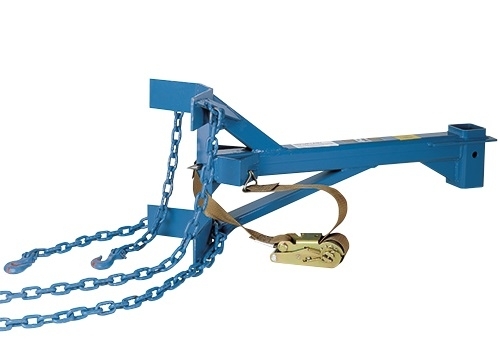 Install the cable puller on the frame with no modifications necessary to the puller. By design, the Pole Mounting Frame offers a secure hold on the cable puller both vertically and horizontally for a worry-free pull. A special plug drives into wood poles for added stability. Includes all mounting hardware.